It's Teacher Appreciation Week...and Mother's Day is Sunday. (Just so you know.) 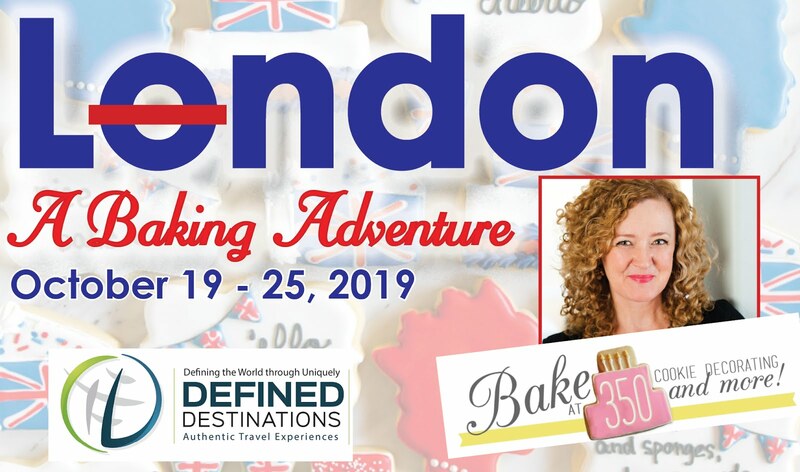 Are you baking something special? 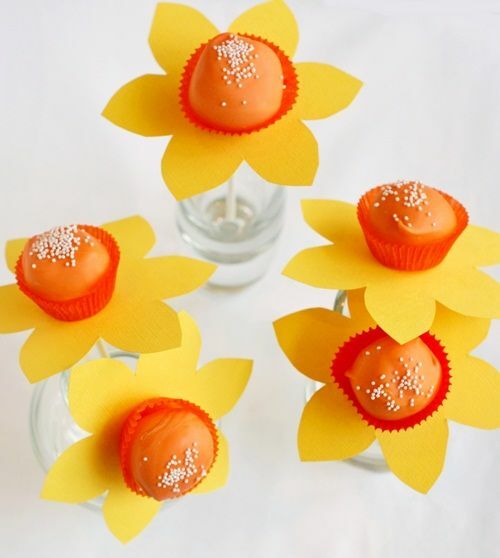 These daffodil cake pops would certainly be a little ray of sunshine for either mom or teacher. But, these cake pops....these are for Bakerella. Bakerella was one if the very first food blogs I ever read. And I've been smitten ever since. 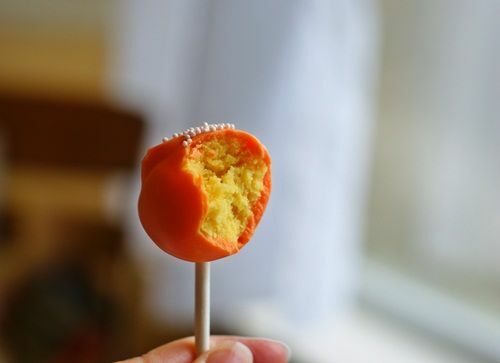 In case you've been living under a rock, Bakerella is the QUEEN of the Cake Pops. She even has a fabulous book . 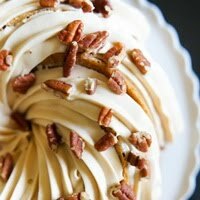 Bakerella's trip to "The Lodge" was actually my first introduction to The Pioneer Woman. I remember seeing those cows and thought...I need to know more about this PW person ;). Angie (Bakerella) has been going though a rough time lately...and she's been on my mind so much. I wanted to let her know that all of us in blogland are thinking of her. So, I decided to make some cake pops for her...and since that's the kind of person I am...I ate them for her, too. For the cake, I thought lemon would be spring-y. I used a lemon cake mix, added the zest of 2 Meyer lemons to the mix, and used the juice of 2 Meyer lemons as part of the water called for on the box. To make the pops, I stirred in the zest of another Meyer lemon and added a bit of Egg Yellow AmeriColor Food Coloring to the cream cheese icing. 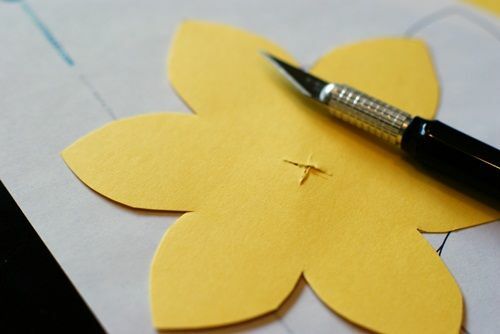 The idea for the daffodil comes from Martha...she filled hers with jelly beans. ...cut out and with an Xacto knife cut an X in the middle. Insert the pops into the liners/flowers. That's it! A bouquet of sugary goodness. So, here's to you, Bakerella! We're all rooting for you and hope & pray you are feeling better soon. Wow! I would've LOVED to get this as a teacher gift when I was teaching. I love the basket idea with the grasses in it. SQUEAL! Best idea EVER! These are above and beyond adorable!! !Just WOW, B!!! 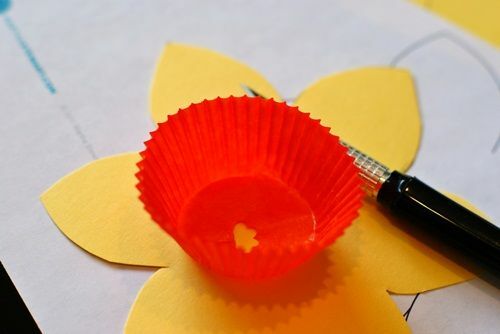 Great idea...I may have to make a bouquet or two or 50 of these for the teachers at my kids school this week, yes it's teacher appreciation week but we just found out tonight that 80 teacher will be let go due to budget cuts. Sometimes, real life really stinks! Thanks for sharing the cake pops with me. I want to marry them. Seriously. I nearly ripped it away from my 4 yo and growled THESE ARE MOMMY'S SPECIAL TREATS. I'll be praying for Bakerella. What fun cake pops! I know Bakerella sure would love these! I hope she is doing well! FANTASTIC. And I hope Bakerella's reading this, because let me join in the chorus of those thinking about her, wishing for good things to happen, and hoping for her complete health. 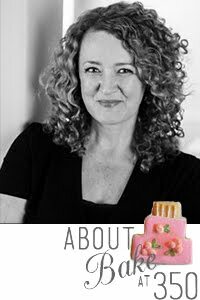 I stalk Bakerella and you :)! These are so adorable and I love all things cake and citrus so this is a double score! Love it! your creativity blows my mind, all of the time. These are lovely!! I've had that picture of the jelly bean daffodil in my file for years!!! 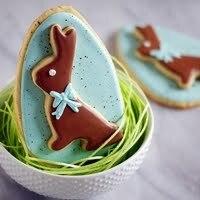 I think I'll make some (and eat them of course) for bakerella too!! Her blog is the first one I had ever read. She ( and the pioneer woman) are completely responsible for starting me on this journey! Send her (and you too) lots of love and good wishes. Clearly you are not over your penchant for yellow and what a wonderful thing that is! These little sweet and delightful beauties will certainly bring rays of sunshine to Bakerella and I hope all that she and thousands of others that are praying for the same thing she is have their have all their prayers answered. What a great gift idea the daffodils are! 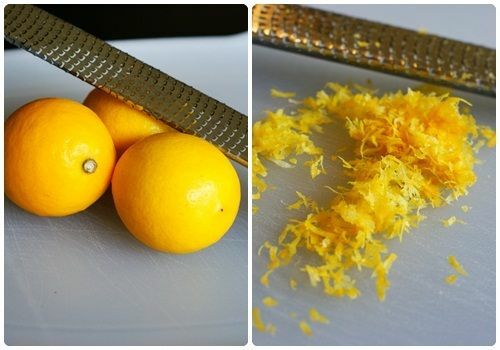 I like the lemon zest idea too! Thanks for sharing! Hello Hello. You brightened my day Bridget. Thank you for thinking of me. I'm doing good. And even better right this minute. P.S. I love lemon. How did you know? They scream spring! LOVE it. I'm sure they will sure cheer Angie up. I think about her daily and pray. These are so cute, love the basket! Hope you have a wonderful Mother's Day Bridget! Beautiful! And Bakerella loves them - even better! she's a wonderful inspiration and so are you. I gotta tell ya, I love these flower pops! Daffodils are my mom's favorite flowers, so I always have an eye out for them. Wow! 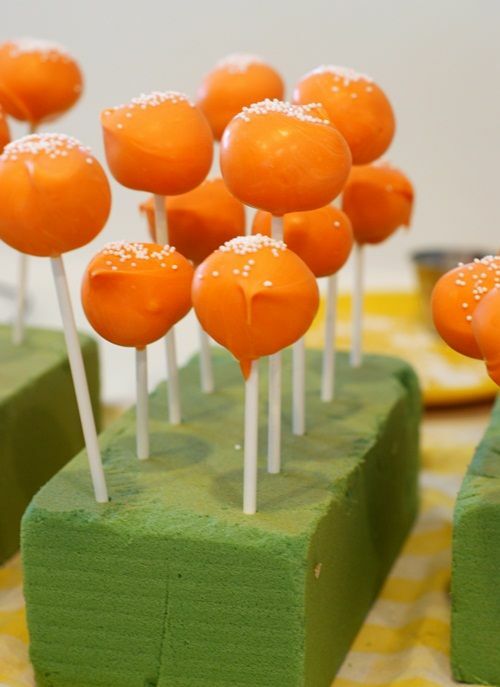 The never ending use of cake-pops. LOVE this idea. I made some of Bakerella's chicks a few weeks ago with a lemon cake (juice & zest), man oh man, a nice taste of spring. Thank you for the never-ending wonderful ideas! This is gorgeous! 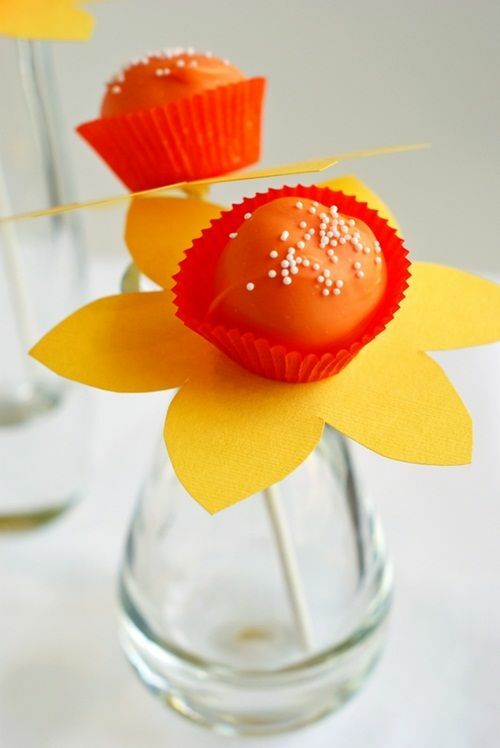 What a wonderful cake pop idea! what a fantastic idea. 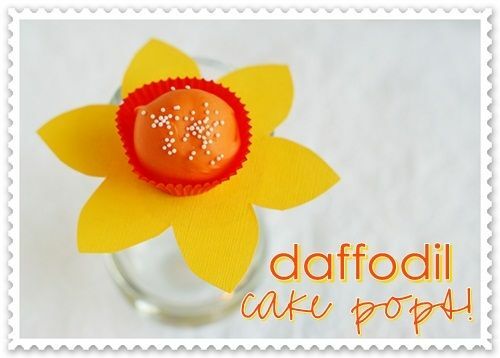 They look goregous..
What a perfectly delightful daffodil cake pop! They are just precious! 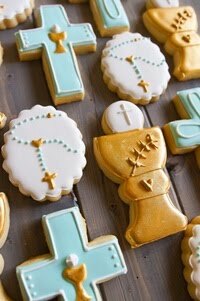 And what a sweet idea to make them for Bakerella! I'm praying for her too! I'm certain this will brighten her day! These are FANTASTIC!!! You are SO amazing Bridget.. so giving... so generous!!! LOVE LOVE LOVE!! These are seriously about the cutest cake pops EVER. I might have to make these this weekend! What a fun idea! I love these! Wow, I did something so eerily similar to this just a few weeks ago, and I didn't even see the Martha thing! Great minds think alike, as they say! :D Love the daffodil idea, the colors you used worked so perfectly! What an awesome thoughtful gift! Bridget - You're brilliant! These are so pretty!! I love this idea!! Very cute! And the lemon cake sounds delicious. Beautiful, bright, and springy! Perfect! these are so precious and the sentiment attached is lovely. Gorgeous! Such a thoughtful gesture. Bakerella is a teacher to all of us, so it really goes well with teacher appreciation week! seriously!! could those be any cuter?!?!! how sweet of you to do that for her!!! Those look amazing!! and yummy too!! These are so stinking cute! And I bet they taste amazing too! Aw, I'm sure Angie will appreciate them- they're adorable! These are SOOOO cool! Love them! Fantastic job and fun post too! Thanks for sharing! I had the opposite experience of you. PW introduced me to Bakerella. Love both of them! So pretty! I love the vibrant orange color. These should cheer anyone up! I can think of so many variations and uses for these, my imagination is going crazy! Thank for the beautiful pictures, recipe and inspiration! Bridget these turned out just adorable!! These are charming, Bridget! I love how cute they turned out. seriously Bridget - these are so stinkin' cute i almost can't stand it!!! absolutely adorable, loveable, sweetable . . . and everything else 'able' you can name!!! So bright and cheery! What a sweet post, Bridget! This post was so touching. We are all wishing Bakerella a speedy journey back to good health. 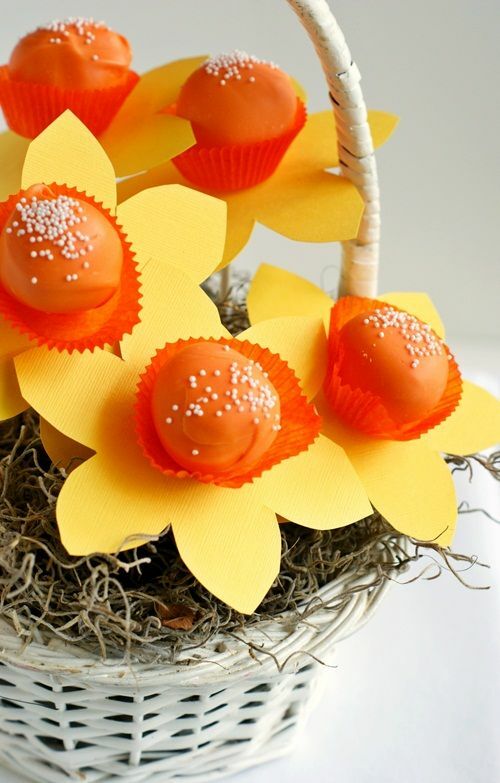 Flowers (especially edible ones) are the perfect way to convey that idea. Love these! Such a cute idea, and the fact that you dedicated this post to Angie...even better! ADORABLE!! 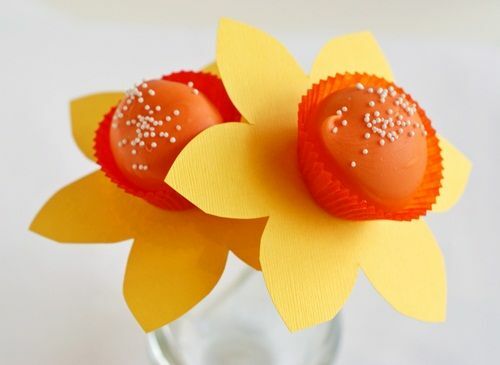 I totally want to make those for our Mother's Day brunch on Sunday. So cute!! These are so pretty just like the wonderful lady you have made these for. So sweet of you to make these for Bakerella. I think we are all thinking of her right now. These are really beautiful!! wow!this is so adorable!love it! a perfect treat for my daughters birthday. I think these are so pretty...LOVELY for mothers day that is for sure! Thank you so much for sharing your amazing work. I LOVE the bright colors! So fun! THose cake pops are so cute! I wanted to thank you for your tutorials. I made some baby shower cookies --even my "dry-run" cookies came out perfect. I just froze those for the party.Thanks so much!! What a darling blog! You are a very creative gal - LOVE what you do here...keep up the awesome job sharing! These are so cute! I have never actually made cake pops before, but these make me want to give them a try! This is so cute and, yet, I think I could actually make this! 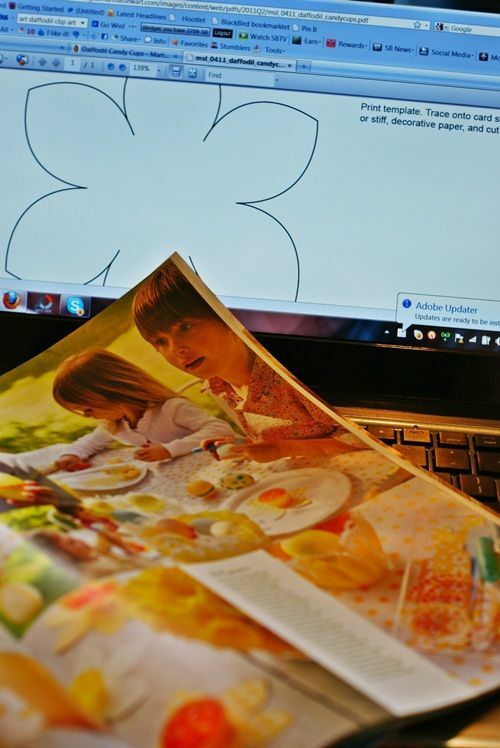 This is very creative and I admit, the cutie little flower won't last long coz i'll eat it. I love the yellow cake pops - currently my and the kids favourite flavour is the cherry cake mis dipped in milk chocolate! What a sweet gesture! I think these cake pops would brighten anyone's day!! These are beyond fabulous and ditto for Angie. My heart and prayers go out to all that she is handling right now. These are adorable. Wouldn't these have been a fun "May day" present to leave for people? ACK! Are these cute or what?! And such a smart, yet easy idea. Can't wait to whip up my own version! Thank you! Love these... Adorable! Perfect centerpiece for your spring and summer gatherings. 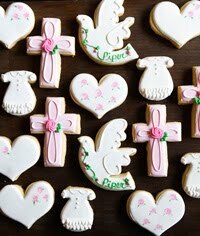 Bridget, these are just beautiful, and you're such a beautiful friend to make these for Bakerella. These are absolutely adorable! I'll be making some of these for my blog on Friday. Thanks so much for the inspiration. I love you blog, you are so talented!! These cake pops look brilliant. This would be such a great gift. 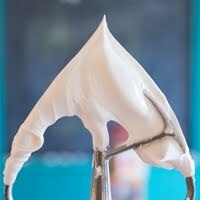 It's creations like this that keep me baking to try new things. I'm love the orange flowers. Cake Pops are on the rise especially after bakerellas book, they're so fun to make with the kids. these are cute cake pops. I don't think i'm at the level to pull off this creation quite yet but hats off to your wonderful creation. I made these with my 5 year old niece for mother's day (for her mom). 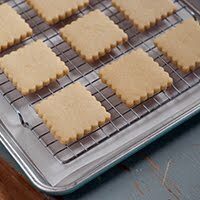 So easy and it was a big hit! I made a version of these a year later for the teachers at my daughter's school for the Teacher Appreciation luncheon they had yesterday. They were a hit! Aww! 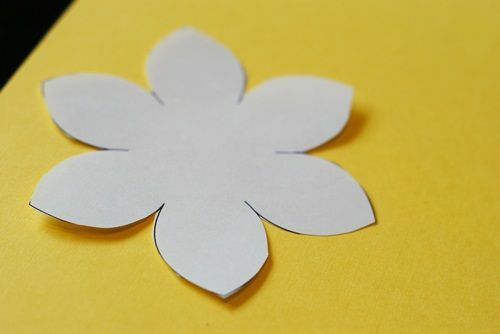 These Daffodil flowers are super cute. That little basket has turned out really gr8. Thanks for the tutorial. Yum.. that orange zest. And the colours are so powerful.